Citrus fruits are prized for their high content of vitamin C and antioxidants. They're juicy, tangy and full of goodness. Plus, they contain fewer calories and carbs than most foods, making them ideal for dieters. Depending on your preferences, you can enjoy them raw, mix them into smoothies, drink their fresh juice or add them to homemade goodies. In addition to citric acid, citrus fruits are rich in vitamin A, vitamin C, folate, calcium, potassium and antioxidants. Due to their low calorie content, they fit into most diets. Most people think of oranges, limes, lemons and grapefruits when they hear about citrus foods. However, there are many delicious, healthy fruits that fall into this category. Blood oranges, bitter oranges, clementines, kiyomis, sweet limettas, tangerines, tangelos, sudachi and pomelos are just a few examples. Citrons, kumquats and amanatsus contain citric acid too. Read more: What Fruits Are Not Citrus? Citric acid is a naturally occurring compound with antioxidant properties. It's denser than water and has a slightly sweet, tart taste. Food and drug manufacturers often use it as a preservative because it helps maintain the stability of active ingredients. Excess citric acid is excreted in urine, so it doesn't build up in your body. According to a 2014 study published in the Journal of Medicinal Food, this compound protects against liver and brain damage due to its ability to fight inflammation and scavenge oxidative stress. Its safety is confirmed by science. One way to get more citric acid in your diet is to consume citrus fruits. These delicious, healthy foods are loaded with vitamins, minerals, fiber and antioxidants that promote health and well-being. A large orange has only 86.5 calories and provides 163 percent of the daily recommended intake of vitamin C. It also contains 4.4 grams of fiber and large doses of potassium, calcium, folate, thiamin and vitamin A. This juicy citrus food is rich in flavonoids, carotenoids and other antioxidants that support eye health and may lower your risk of age-related macular degeneration. Several studies suggest that oranges and other citrus fruits may help prevent cancer. A 2015 meta-analysis featured in the journal Medicine has linked citrus intake to a 37 percent lower risk of esophageal cancer. According to researchers, beta-carotene and other bioactive components in citrus fruits can positively alter cancer-related molecular pathways and induce cancer cell death. These foods are also an excellent source of vitamin C. Even a small orange fruit delivers 85 percent of the recommended daily intake of this nutrient. A diet rich in vitamin C can boost immune function, reduce free radical damage and stimulate collagen production. This water-soluble vitamin plays a key role in skin health, iron absorption and wound healing. Along with oranges and lemons, grapefruit is one of the beloved citrus fruits. Half a grapefruit boasts 51.7 calories, 2 grams of fiber and 64 percent of the RDA of vitamin C. Plus, it's a good source of vitamin A, vitamin E, vitamin B6, thiamin, folate, calcium and potassium. Bergamottin_, an active compound that occurs naturally in grapefruits, has been shown to protect against cancer due to its antioxidant, anti-inflammatory and antitumor properties, according to a 2018 review published in the International Journal of Molecular Sciences. This substance appears to be particularly effective in the prevention and treatment of lung, breast and skin cancers; leukemia; myeloma; fibrosarcoma; and more. _Bergamottin inhibits tumor growth and stops cancer cells from spreading throughout the body while reducing inflammation. If you have kidney stones, this fruit may help. Due to its high content of citric acid, it increases urinary citrate levels and helps reduce further stone growth. Even though more research is needed in this area, the latest studies show promising results. Lemons are a healthy addition to freshly squeezed juices, smoothies, desserts and homemade meals. A single fruit has only 21.6 calories and more than 5 grams of fiber and 139 percent of the RDA of vitamin C. This citrus food is particularly high in copper, providing 14 percent of the recommended daily intake. Copper plays a vital role in mental health and brain function. This mineral aids in the production of neurotransmitters, keeps your bones strong and supports infant growth. Low in calories and high in fiber, lemons can help you slim down and keep your gut healthy. 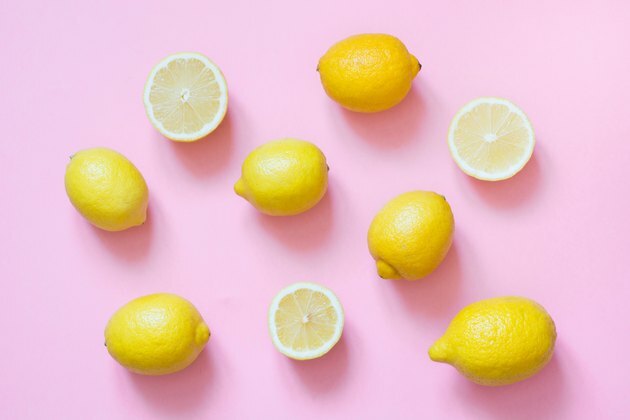 In a 2017 clinical trial that appeared in the journal Scientific Reports, researchers assessed the effects of fruit and vegetable juices on body weight, with lemon juice as their primary ingredient. Dieters lost significant weight in as little as three days and managed to keep the pounds off after the two-week follow-up period. These results may be attributed to the positive changes in their microbiota. With its naturally sweet flavor, pomelo makes a great snack when sugar cravings kick in. It's the largest citrus fruit and tastes like a grapefruit, but without the bitterness. This citrus food can be consumed raw or used in salads, jam, marmalade, desserts and cooked meals; its juice is refreshing and low in calories. One cup of pomelo delivers 72.2 calories, 1.9 grams of fiber and a whopping 193 percent of the RDA of vitamin C. It's a healthy source of potassium, copper, manganese, phosphorus, thiamin and riboflavin. The health benefits of this fruit are due to its high vitamin C and antioxidant levels. As Cleveland Clinic notes, vitamin C maintains the integrity of your skin and tissues, strengthens your immune system and aids in the formation of neurotransmitters. This nutrient also scavenges oxidative stress and minimizes its harmful effects on the joints. The tangerine looks like a small orange fruit and packs a hefty nutritional punch. One cup provides 27 percent of the RDA of vitamin A, 87 percent of the RDA of vitamin C and 7 percent of the RDA of calcium. You'll also get 3.5 grams of fiber and large doses of B vitamins. Vitamin A, one of the most abundant nutrients in tangerine, is essential for growth and development, according to Medical News Today. It may also help prevent certain illnesses and relieve their symptoms. For example, a 2019 study published in Complementary Therapies in Medicine indicates that it may improve the symptoms of urinary tract infections. Other studies have found that α-carotene and _lycopene_, two forms of vitamin A, may lower the risk the prostate cancer. This nutrient has also been linked to healthier skin and hair, improved glycemic control and better eyesight. Are Fruits Your Only Option? Citrus fruits are the primary source of citric acid. However, other foods contain this nutrient too, but in smaller doses. Strawberries, raspberries, pineapple, tomatoes, lettuce, cheese and wine are just a few examples. The citric acid in wine, for instance, results from fermentation. Food manufacturers use this compound as a preservative, so many products available in stores, such as canned fruits, jams, tomato-based sauces and sherbet, may contain citric acid. These foods, though, are often loaded with sugar, salt, artificial sweeteners and chemicals. Citrus fruits are a healthier option and can be used in thousands of recipes, so you can always try something new. Make your own juices and smoothies, swap sugar for freshly squeezed orange juice or snack on citrus fruits between meals to get your daily dose of vitamin C.
Copper Alliance: What Are the Health Benefits of Copper? Is V8 Low Sodium Good for You?